If you would like to speak to references please contact the office and we'll be happy to send you the contact information of several who have agreed. We’ve been blessed to work with some of the most amazing dogs during our career. 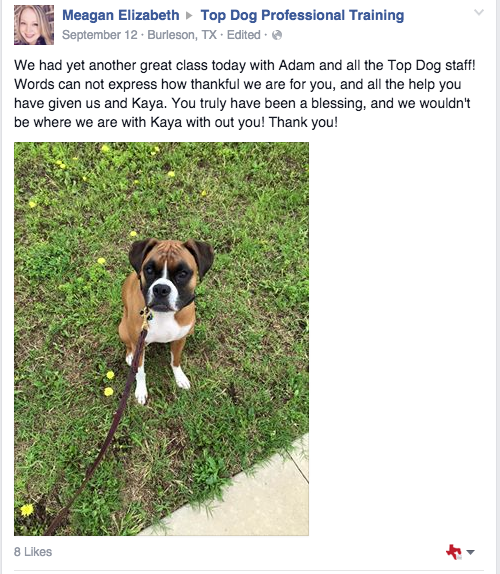 Here’s what just a few of their owners had to say about the experience. 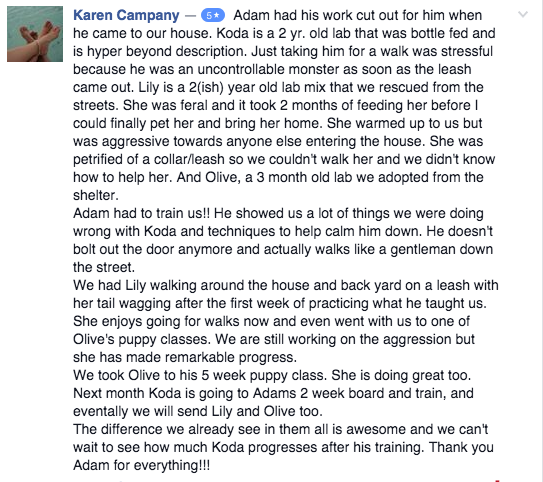 Here you can learn some tips and tricks about working with your dog, or check out the progress we’ve made with some of our recent clients.